At Pet Friendly Holidays we pride ourselves on our commitment to you and your pets and always strive to continuously improve each of our pet friendly holiday houses. We're certain you will therefore have a relaxing holiday in our Nambucca Heads, Copacabana or Hyland Park vacation beach houses. Kindly remember that our pet friendly holiday homes are also rented to other guests who may dislike pets in their accommodation. So it is essential that pet owners abide by our very reasonable pet rule policies. This ensures that everyone can enjoy a clean and comfortable holiday. 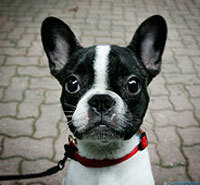 Pets must have current vaccination and must be free of fleas. Please bring a brush to keep your dog free of extra hair that can float into incredible places! Pets are allowed in the house in the living areas only. Pets are not allowed in bedrooms or on any of the furniture. Do not leave dogs or cats alone when you go out. Please take them with you. Do not leave your dogs barking incessantly or chasing wildlife or terrorizing neighbors!! Kindly carefully clean up your dog's or cat's droppings in the yard or on the beach. Please wash or brush sand off your pets before they enter the holiday home. Cats must always be attended outdoors and must wear a bell collar at those times. Cats must not be allowed outdoors during the night. Please bring your dogs favorite bed or we can provide a bed for you upon request. Food and water bowls are provided. Be assured that the "Beach Lovers Group" of pet friendly beach and coastal holiday accommodation properties bends over backwards to ensure that your beach house vacation meets your every expectation. We're always available to help you with any special needs or local guidance. Repeat bookings by former guests are a big part of our business and we try very hard to meet guest's special requirements if possible.